After a month long hiatus BYEP is back and geared up for summertime adventures. Crux Program Managers Kayla and Robin have been hard at work putting together an amazing set of opportunities for all their BYEP participants. This summer participants in the summer before 11th grade will be focused on growing through giving back to the community around them with series of service projects at recycling centers, the food bank, and community gardens. Our oldest BYEPers moving into their senior year of high school (whoa!) are entering their second to last session at BYEP where they will focus on cultivating self-reliance and independence through workshop curriculum and BYEP's Summer Works program. Kayla and Robin have joined forces with some wonderful community partners who are offering our participants paid employment building job skills through companies that build snowboard bindings, create beautiful landscape projects, as well as learning culinary arts and service industry skills. 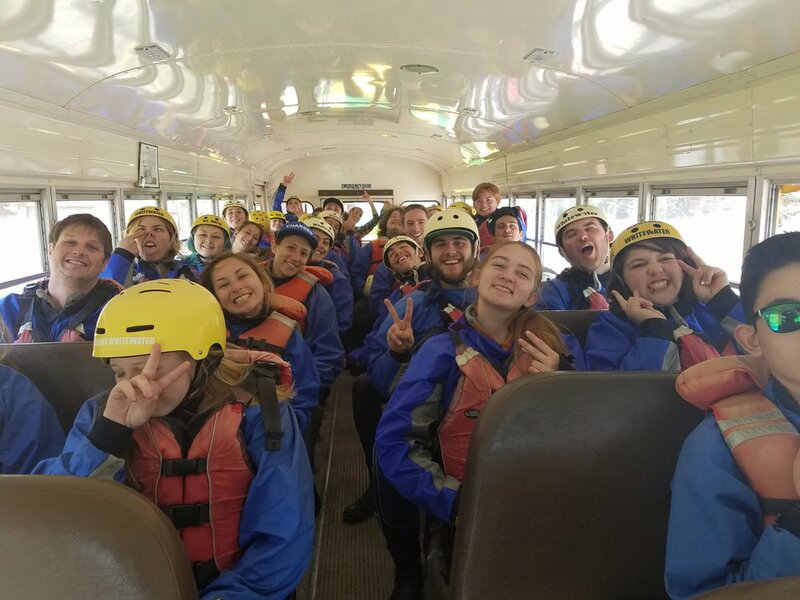 The 12th grade summer session will culminate in an overnight rafting trip on the Yellowstone River to set them up for their journey through their final session at BYEP. On top of our curriculum participants will have access to all sorts of adventures such as rock climbing, equine therapy, more rafting, visits to a goat farm, and as much time outside as possible. Our friends at Montana Wilderness School are looking for a couple more participants to partake in a backcountry mountaineering adventure. MWS is often able to offer full ride scholarships to BYEP participants, so if you are interested in this opportunity, click here for more info. Another BYEP partner, the Ecology Project International out of Missoula, has offered an opportunity for a 5 day camping expedition focused on the environment, conservation, and adventure in Montana. The flyer below contains more information, if your participant is interested in this opportunity please reach out to Kayla or Robin for more information.